Life - Travel, Culture, Home, Pets and Pep Talk! This blog is home to all pet lovers and for those who simply love spending time doing up their home. Oh yes, you will also find a few peppy articles to lift your spirits. This blog is a document of all my published and unpublished write-ups. For a light hearted blog, grab a cup of coffee to read and relax! (Note: Text & images copyrighted). Here is a list of hotels that you can consider on your trip to Ooty. There may not be direct bus/ train services that ply from Mangalore to Velankanni. You'll have to take a train from Mangalore to Chennai – Mangalore (MAQ) - Chennai (MS) Express (Train No. 6108). Once you reach Chennai station, you can take a direct bus from there to Velankanni. You can go through sites like - http://www.ixigo.com, www.ticketvala.com to book bus tickets from Chennai to Velankanni. You can also check with RathiMeena Travels. Foe more information go to: http://www.onlinebustickets.in/bus-from/chennai-to-velankanni/ All the details of travel agencies, departure and arrival timings, boarding point are all mentioned here. You can check bus/ train/ pvt. taxi from Velankanni for the route to go back to Bangalore. 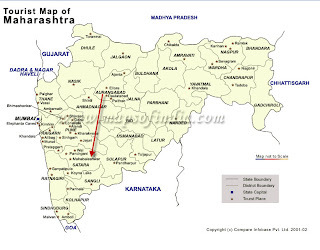 There may not be any direct buses that ply between Mahabaleshwar and Aurangabad. Here are a few options for those who want to do something different and off-beat on their trip to Munnar. If you're looking at trekking options, then these inputs maybe of help. 1) Thattekkad Bird Sanctuary - a 25sq km park, has inspection bungalows and watch towers. For this, you can contact the Assistant Wildlife Warden at Kothamangalam on 0485-2588302. 5) Coimbatore to Munnar by road - There are direct buses that ply from Coimbatore to Munnar - one early morning at 7:30am and the other at 3:30pm. You can also take a bus from Coimbatore to Udumalpet and from there hire a private vehicle to go to Munnar and enjoy the scenic drive. It should take around 4 hours approx to reach Munnar. Please check the fare for private taxis, remember it should be per km rate or per hour rate or whichever is higher. Otherwise, a direct trip from Coimbatore to Munnar by a private vehicle could cost around Rs.2,400/- INR (one way) which should include all their toll tax, parking fee etc. Since there are two check posts and a hefty fee that Tamil Nadu registered cabs have to pay when they cross the border to enter Kerala, the taxi fare maybe on the higher side. It’s relatively safe to travel at night, but try and leave early afternoon so that you can enjoy the scenic beauty. You can take the train from Hyderabad to Mettupalayam, from there, to reach Ooty (Udhagamandalam ) you have to travel by Meter gauge train running between Mettupalayam and Udhagamandalam. 6.) Boating – you can rent rowboats from the boat house. 8.) Contact the tourist office for a trip to Mudumalai National Park through the Pykhara Dam. The trip starts at 9:30 am and ends at 7pm. 9.) Also contact the Ooty Tourist Guides Association 0423-24444449 to hire a local guide. You can go for hill and forest walks. 10.) Contact Camtrek on 0423-2451809 run by Mike Dawson an experience local guide. You can contact him for jungle treks and jeep safaris and visit the Toda Village for campfire and lunch. The KLIA or the Kuala Lumpur International Airport is one the best airports in the world. As soon as you land, you will have to take the aero-rail to reach the immigration counter and exit into the city. Head towards the taxi booth inside the airport to book a taxi to take you to the desired destination. It’s quite a long drive to the city centre and it all depends where your hotel is situated. Thankfully, the taxi driver from the airport taxi service was a decent soul who took us to our hotel. By kind soul I mean, that he realized a slight confusion on our faces as we were tourists to a new place, so he assured us that he would take us to our hotel. As soon as we reached the hotel, we freshened up and headed to the National Palace. We hired a cab and headed straight to the Istana Negara or the National Palace. Unlike the Grand Palace at Bangkok, here tourists are not allowed beyond the palace gates. You don’t even get a glimpse of the palace gardens and the architecture. I was slightly disappointed as I had so much of expectations after my trip to Thailand, and visiting the Grand Palace there, I didn’t get to see beyond the palace gates. You can however, stand outside and take pictures in front of the gate and maybe pose with the guards (but don’t touch them or go too close). The driveway in and around the Palace is beautiful though, with ornate lampposts and flower beds making them ideal backdrops for your photos. After the short visit at the palace gates, we headed to the national museum. It may be of help that before planning a short trip to Rajasthan, that the state can be visited in three parts - Eastern, Southern and Western. This in turn can help you book your flight/ train/ bus tickets and do justice to the sight-seeing in Rajasthan. Also please note, there are loads of other places to visit here, but if it’s a short one week trip you are planning, then this is the way you can go about it. I]Eastern Rajsathan - Jaipur, Ajmer, Pushkar, Ranthambore National Park etc. 1) Jaipur - it’s the capital of Rajasthan, also known as the Pink City. Flights are easier to get to Jaipur/ Udaipur from most metros in India. I had been to Jaipur several years ago and stayed at Khasa Kothi,its a beautiful place. If you get a chance, you must stay there for a night. It also houses the Govnt. of India Tourist Office (Phone - 0141-2372200). In Jaipur you can see the: Hawa Mahal, Old City, Jantar Mantar, Central Museum, Royal Gaitor. 2) Ajmer - Its 130kms south-west of Jaipur and if you wish to visit Pushkar, then you have to go via Ajmer. It is one of the country's most important Muslim pilgrimages with the Khwaja Muin-ud-din Chisti. Ajmer is also home to the famous Mayo College. At Ajmer, you can see Ana Sagar, Dargah, Adhai-din-ka-jhonpra and Taragarh, Akbar's Palace and the Jain Temple - Nasiyan red Temple. 3) Pushkar – It is an important Hindu pilgrimage centre and probably one of the most popular tourist spots in Rajasthan and is famous for its Camel Fair. There's a Brahma Temple and Ghats at Pushkar for sightseeing. II] Southern Rajasthan - Bundi, Kota, Udaipur, Mount Abu etc. 1)Udaipur is lovely. You can see the Lake Pichola, Jagniwas Island, Jagmandir Island,City Palace Museum etc. Western Rajasthan includes Jodhpur and Jaisalmer. Jodhpur is known for its forts, Meherangarh, clock tower and markets, Umaid Bhawan Palace and the Museum. 2) Mt. Abu – It’s the only hill station in Rajasthan. October- November is the peak season as that’s the time all families visit this place during the Diwali vacations. At Mt. Abu, you can visit Nakki Lake, Sunset Point, Dilwara Temples or go for treks. III] Western Rajasthan – Jodhpur, Jaisalmer, Bikaner etc. 1) Jodhpur is known for its forts, Meherangarh, clock tower and markets, Umaid Bhawan Palace and Museum. 2) Jaisalemer is another popular tourist spot. There's the Jaisalmer Fort, Jain temples, Laxminath Temple, havelis and the government museum. Tanya is a post graduate in Communications and Media and Instructional Designing. She started her career by writing children’s books, re-telling classics, creating e-learning modules, writing lifestyle articles for a range of lifestyle websites. Currently she is an Editor for a UK based publishing house and a Travel Expert for a popular travel company in India. Most of her works are documented in these blogs. Please have a look at my recently launched website www.tanyamunshi.com, it will be nice to hear from you!